Pattern: unknown, might not even be a "real" pattern. 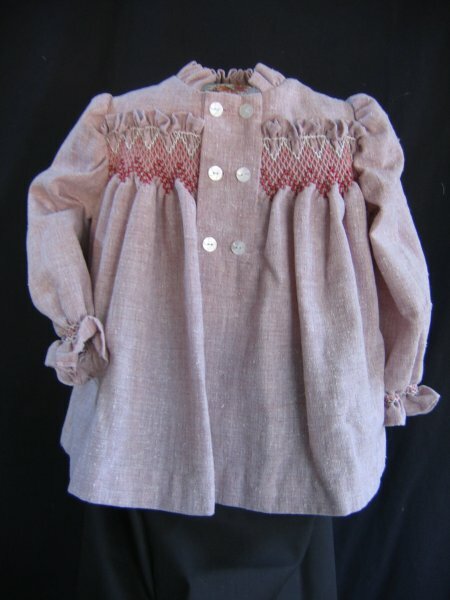 I have vague memories of seeing the garment in a store or catalogue, liking the look of it and copying it. 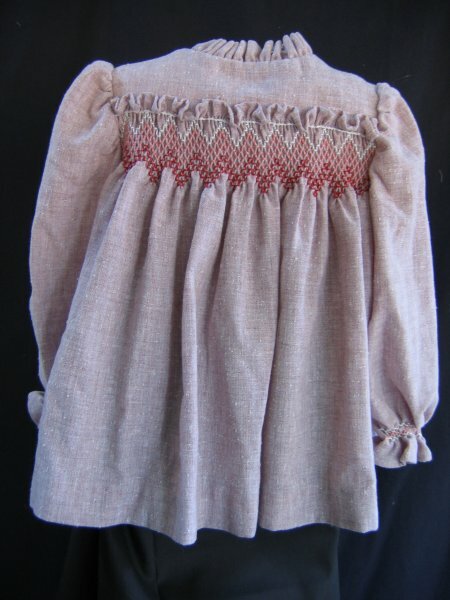 This tunic is probably about a size 2 or 3 toddler and was designed to be worn over pants/trousers. I'm pretty sure I made a deep plum corduroy pants to go with it but the pants weren't put in the same cedar chest as the tunic. 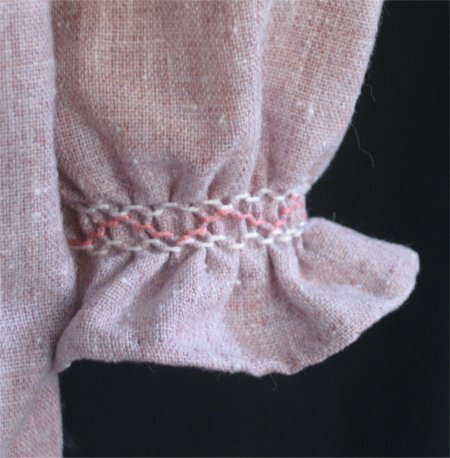 long sleeves with smocking at wrist, resulting in a ruffled cuff. 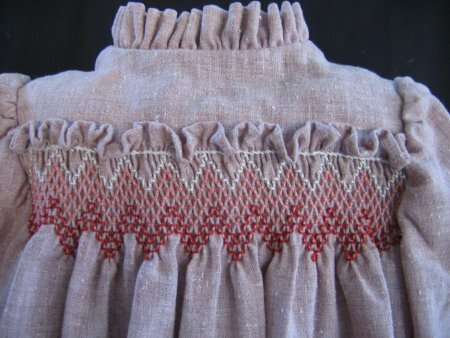 Smocking pattern: double Van Dyke in 3 colors. 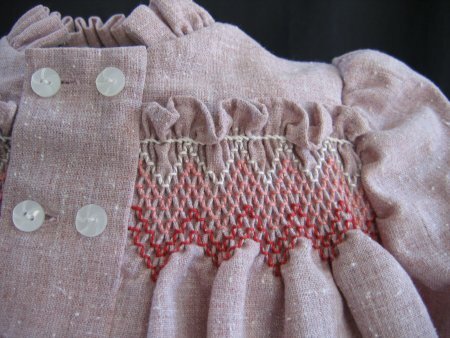 Cable stitches at top to control the ruffle where it attaches to the high yoke. Fabric: now here's a real mystery ... I haven't a clue. It looks sorta like a homespun: a coarse weave with intermittant slubs/tufts.